Yan Jun, a musician. Born in Lanzhou in 1973. Based in Beijing. 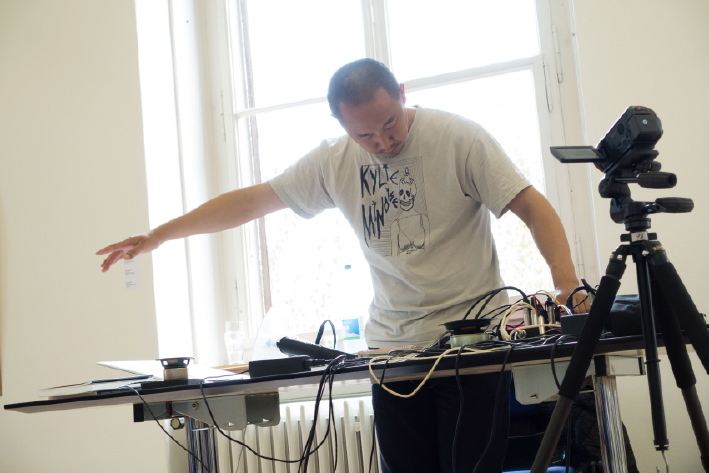 His activities involved to improvised music, field recording and site-specific sound works/events. His feedback improvisation set always following the unstable relationship between microphones, speakers, the space and his own body movement. He has often playing with the environment and fund objects at audiences’ home, along or with other artists, as Living Room Tour project. His Micro Feedback project is a headphone noise hypnotizing for small amount of audiences. He is member of FEN, Tea Rockers Quintet, and Impro Committee.